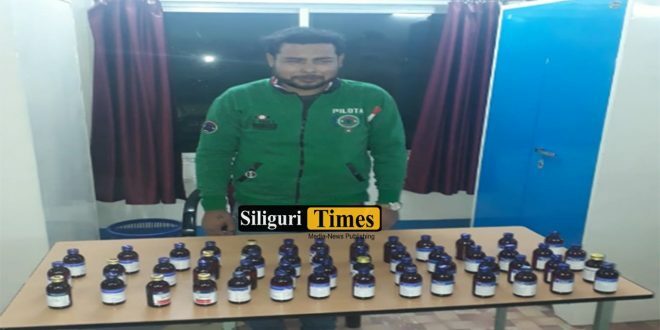 Kotwali Police of Coochbehar has launched a campaign on the basis of information from secret sources and arrested a youth with illegal cough syrup. The name of the arrested youth is known as Amit Sarkar. He is a resident of Shyamprasadpalli area of ​​Coochbehar No. 1 ward. On Wednesday, the police launched a drive in the area adjacent to Marapoda Chowpatty in ​​Coochbehar and arrested the said youth. The police has recovered huge quantity of illegal cough syrup from him.